You are here: Home » Character revealed? 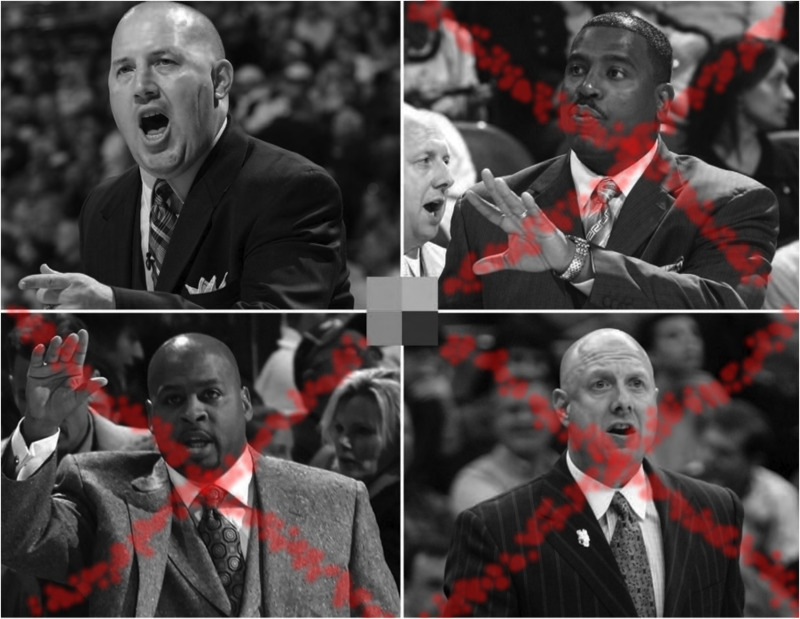 An edited screenshot from last season’s media guide, all three of Buzz’ assistants (Benford, Collins and Monarch) are no longer with the team. 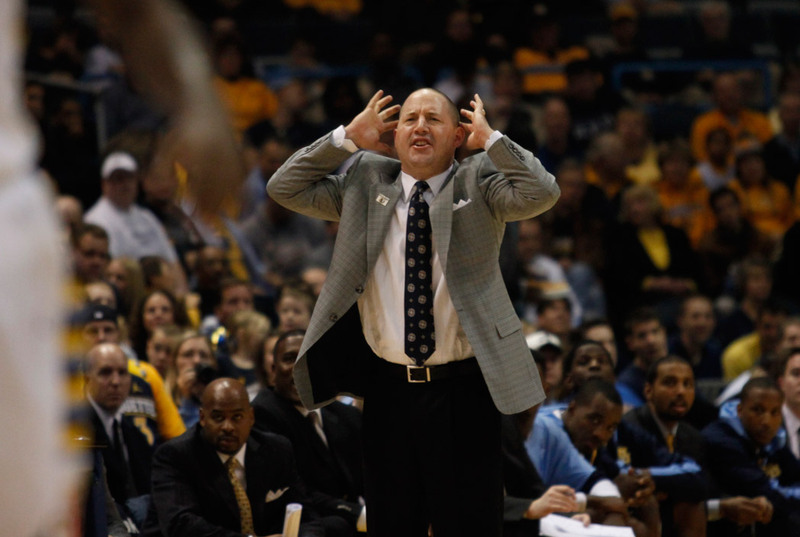 On a warm August night when Marquette Nation should have been celebrating an undefeated start in men’s and women’s soccer as well as women’s volleyball, all thoughts strayed to the head-shaking news that assistant men’s basketball coach Scott Monarch was fired and head coach Buzz Williams was suspended for the Big East opener. The punishments, by now common knowledge, were in response to untruthful responses by Monarch to administrators investigating improprieties by the three-year Marquette assistant. He gave a recruit some Marquette clothing and transportation, violations that while relatively harmless in the grand scheme of things, are clear-cut no-no’s and something a 16-year veteran like Monarch should have ingrained. Yet, as a source told Jeff Goodman, it wasn’t the violations themselves that got him fired. It was the lying when asked about it. As stated before, this is all common knowledge by now and most seem to accept it as completely uncontroversial. You cheated, you lied, you gotta move on. Alas, I wouldn’t be writing a column and you wouldn’t have clicked on a link to get here if that’s all that there was to the story. As with anything Marquette related, there is always intrigue and mystery. Marquette also announced Williams would be suspended for the team’s opening Big East game this upcoming season “in recognition of his duty to monitor the compliance of his staff.” Call it the Paterno effect if you will. This is his team and his responsibility, so while Buzz was completely absolved of the crime itself, he bears the burden for having it happen on his watch. Whether you agree or disagree, the argument is moot at this point. Unlike the assertion of CBS’s Gary Parrish, coaches understand that the NCAA has sent a message through the Penn State sanctions. If it happened on your watch, you’re guilty even if you yourself aren’t guilty. A one-game suspension is not worth risking major penalties over. However, and this is a big however, that is not to say it’s all seashells and balloons between Buzz and the administration. As Shakespeare would say, something is rotten in the state of Denmark. Think about this offseason alone. You had the whole SMU debacle causing the Marquette fan base to lose its collective mind. You had the Todd Mayo is he or isn’t he suspended salsa followed by the is he or isn’t he back on the team meringue. You had the T.J. “Two Day” Taylor homesickness transfer. You had the original secondary violation leakage. That brings us to Friday night, where for what seems like the 10th time this year, Marquette had to air its dirty laundry Friday night when the glare is dimmest and the grapevine silent. That’s just from a three-month stretch too — lest we forget sexual assault claims in the Chicago Tribune, the Newbill saga, suspensions galore for unknown reasons during the season and Apartment 720-gate, (leading the JS’ Don Walker on a noble crusade to identify each and every incidence of student athletes NOT drinking in the state of Wisconsin, right?). Think that doesn’t take a toll on an administration? It’s clear Athletic Director Larry Williams and co. have been ruling with a firm hand as of late to try and diminish the sheer number of non-basketball related press releases that need drafting. It is not the gravity of any one situation, but the accumulation of incidents that has become so frustrating. Just look at this story of Taylor’s departure. What would normally be a three graph blurb turns into a nine graph attack, just by highlighting previous infractions. This is where my disagreement with Parrish reaches its apex. Buzz is not going job-hunting because he’s suspended for one game. It is the big picture aspect of an administration seemingly trying to reel him in that would cause one Brent Williams’ eyes to start wandering. This brings us back to Monarch himself. Take another look at the quote at the top of the page. Buzz has taken Monarch everywhere he’s moved to. This is not your standard coach/ assistant relationship. These are two friends, who by an intense dedication to their craft and a few God-given strokes of luck had made it to the big time. “Because I have known him since I was a teenager, my trust level in who he is as a person and as a coach is incredibly high and I am very grateful for that relationship,” Buzz adds in the media guide. Now that relationship, as it manifests itself on a practice floor and in a film room, is dissolved. How will Buzz adjust to losing his right hand man? As a matter of fact, how will Buzz adjust to losing all his assistants from last season? Tony Benford became head coach at North Texas — taking Bart Lundy, Marquette’s director of basketball operations with him. Aki Collins took the same position at Memphis. Monarch was dismissed, an announcement attributed to Buzz himself. No matter how big or famous men like these get, they never cease to be humans. It takes time to foster relationships among coaches on a staff. Assuming former DePaul coach Jerry Wainright (hired this summer to be director of basketball operations) fills the vacancy, Buzz will have to shotgun the feeling out process with 48 days left until Marquette Madness. Then there’s the loyalty factor. Buzz is as loyal a cat as there is — calling former players and coaches on a weekly, sometimes daily, basis and even painting his garage the colors of Colorado State, his first big time Division I assistant coaching position. Monarch has been with him through thick and thin, proving his loyalty day in and day out. How must Buzz feel at the moment, having to fire a great friend and seemingly isolated by the administration? There is no easy answer. Both Williams’ are correct. Larry can’t afford the negative press to keep streaming in. Buzz has no one left to turn to. There is always hope that sanity will prevail and both sides will see the difficult positions they are each in. As it stands right now though, I will treasure the past and savor the present. The future is much too bitter for my liking. Great Reporting and commentary here! That’s not to say I’m happy about any of this, but keep up the great work! The professional sports writers in that city can learn a thing or two from you guys for sure.